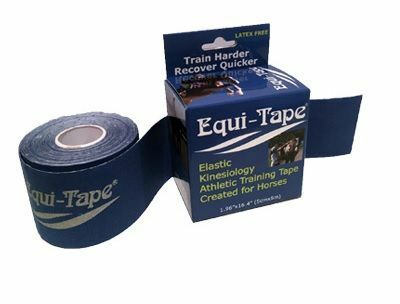 Equi-tape is a unique product designed to helps relieve symptoms associated with Muscle spasms, poor circulation, inflammation, lymphangitis, stressful exercise, ligaments, tendons and joints in need of support. 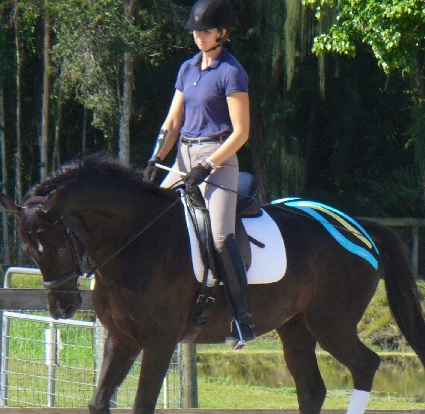 How it Works: Its design characteristics and associated application techniques, decompress tissue thereby allowing for increased circulation. This lifting principle behind the decompression influences and thereby impacts how pain receptors respond to the messages associated with swelling and or inflammation. Tape is latex free and contains no medication. Supports full range of motion. 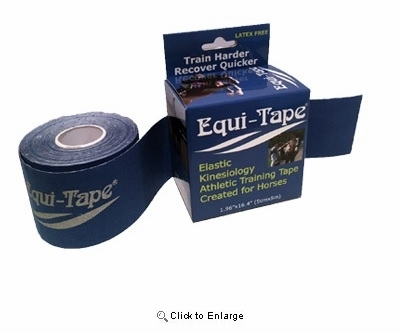 Works great on swelling and edema. Ingredients: 95% cotton, 5% spandex, adhesive. Warnings: Do not tape over areas unless they are free of lotions and sprays as the tape will not adhere. 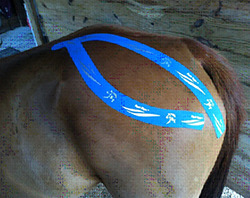 Do not tape over infected, irritated areas or open wounds.